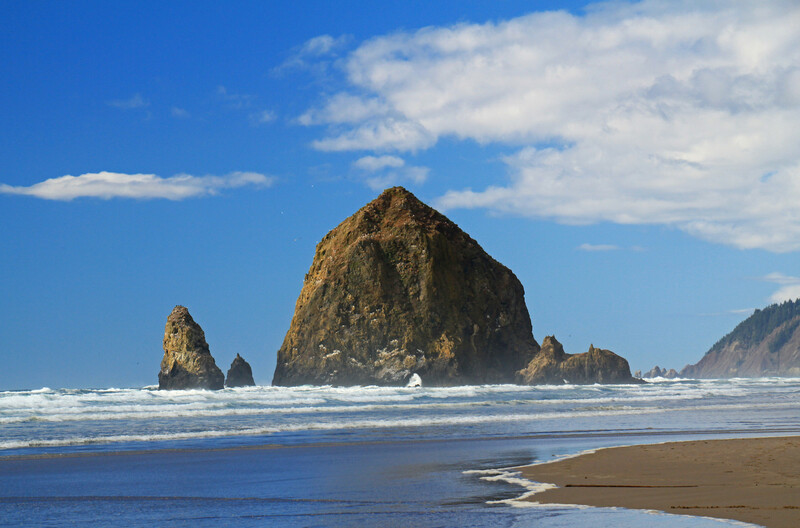 Always attractive, Haystack Rock at Canon Beach, on the northern coast of Oregon. People love this rock monolith. It is very very large. The sweeping beach near it makes it an interesting scene for photographers and tourists.